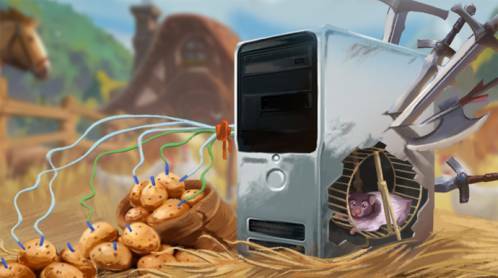 In the past week, the servers of the Sandbox MMORPG Albion Online have been exposed to very violent DDoS attacks. In the course of this, there was even a sort of claim for money from unseen blackmailers who demanded an amount of approximately 18,000 euros for the cessation of the attacks. While the DDoS attacks continue to this day, their intensity has now been reduced to a level tolerable for most players. Especially the log on to the servers of Albion Online now works again much better. Since the incident is quite unpleasant for the developers, there is a small compensation for all players who had problems between July 17 and August 11. One week each free game time is credited to the affected accounts. In addition, the developers announced to continue with all vehemence against the attackers and at the same time ensure the security of the servers. You can find more details about Albion Online on our topic page.